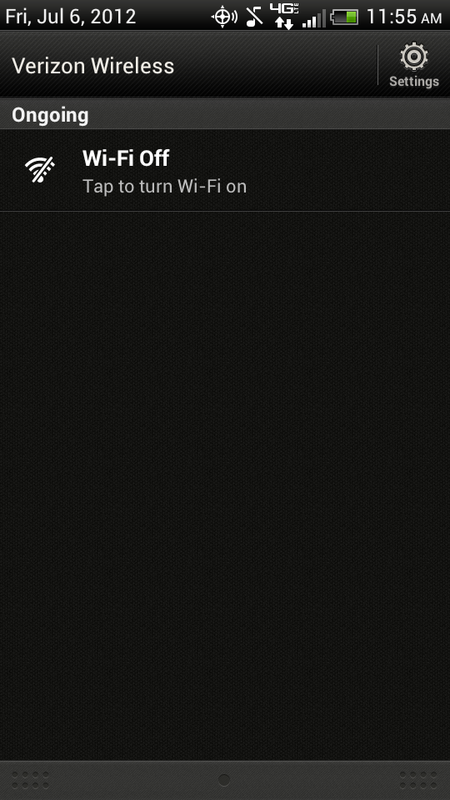 Yo Verizon, What’s With This Ongoing Wi-Fi Toggle Notification on the Galaxy S3 and Incredible 4G? I spent my first full day with the Incredible 4G LTE yesterday after putting it off over the holiday, and noticed something a bit frustrating almost immediately. See that screenshot above on the left? The “Ongoing” message to turn WiFi on. As an “Ongoing” notification, it never goes away. I’m not kidding about this either. 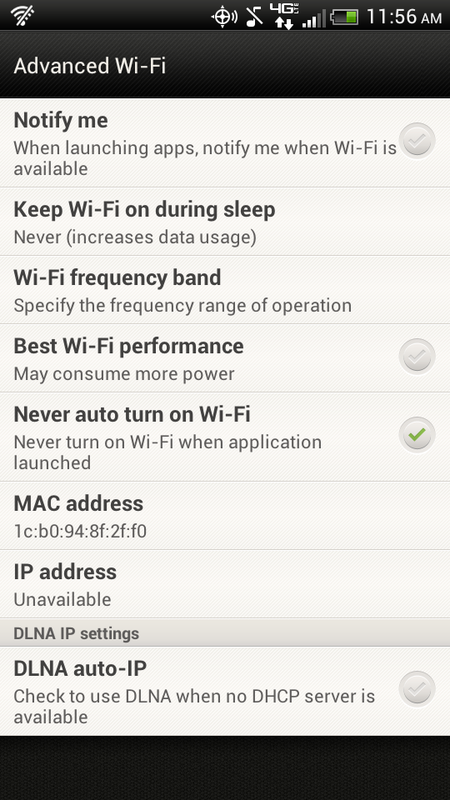 If you take a look at the “Advanced Wi-Fi” shot to its right, you can see that there isn’t an option to remove this. So no matter what you are doing on your phone or where you are, which could mean you are 400 miles away from the nearest WiFi router, you will have that WiFi icon with a slash through it telling you to turn WiFi on. 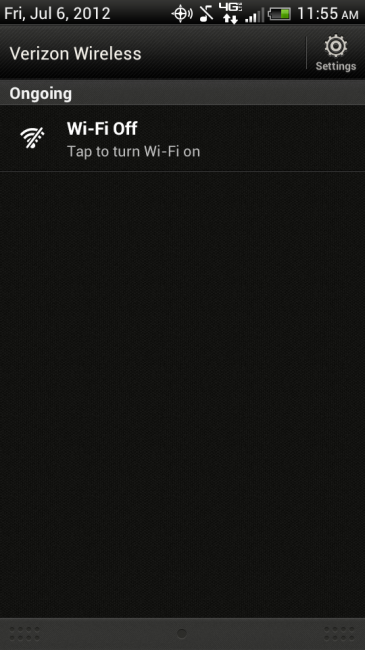 The only way to get that obnoxious little icon to go away, is to connect to a WiFi network. To make matters worse, this doesn’t seem to be isolated to the new Incredible. Samsung Galaxy S3 owners who received shipments from Verizon this week are reporting the exact same thing. From what we have heard, Big Red actually went as far as to remove the WiFi toggle in the notification bar that Samsung’s TouchWiz has become known for, and replaced it with this ongoing notification, that again, cannot be removed. It’s probably safe to assume that this move is to get people to use WiFi more. If they are constantly reminding you to turn on WiFi, you probably will turn it on. Then you’ll use WiFi and not their network, which might be a smart idea for those of you stuck on those tiered or ridiculously overpriced shared data plans. I can’t help but admit that I find this ultra-obnoxious, though. I understand that this is a good way to remind novice users, but give the advanced population the ability to turn it off if we don’t like it. If anyway finds a way to turn this off, please pass it along.